Israel to sell Merkava 4 tanks, Tiger APC for the first time. 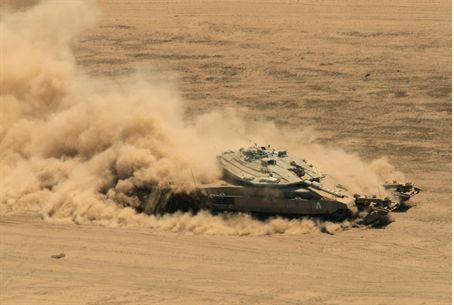 For the first time, Israel will offer the Merkava Mark 4 tank and the Tiger APC for sale. Both will be sold only to friendly countries, and under strict supervision. In addition, all sales will be coordinated with the United States. The U.S. funds some components of the tank, as well as other Israeli defense projects. Ministry of Defense Director-General Udi Shani said the decision to offer the tanks for sale to allies was “a strategic decision” driven by the need for income to cover military costs. Experts believe sales could bring in $400 million annually. In the past, Israel has sold Merkava technologies for use with other types of tanks. The Merkava Mark 4 was unveiled for the first time in an defense conference in Paris several months ago. Many details about the tank remain classified, including its cost and the number of units produced. Details of the Tiger's build are secret as well. The Tiger uses a Merkava hull, but acts as a personnel carrier. Many of its components were designed after the Second Lebanon War, and reflect the lessons learned in battle with Hizbullah.